Sick of brands that won’t run it sizes above a large? A new label named Half Full Curve defies society and its silly constructs, and will make beautiful plus-size clothing. Started by designers and sisters, Tinka and Rixi Bhati, Half Full Curve will be a brand that will be a brand that isn’t afraid to move out of the box. 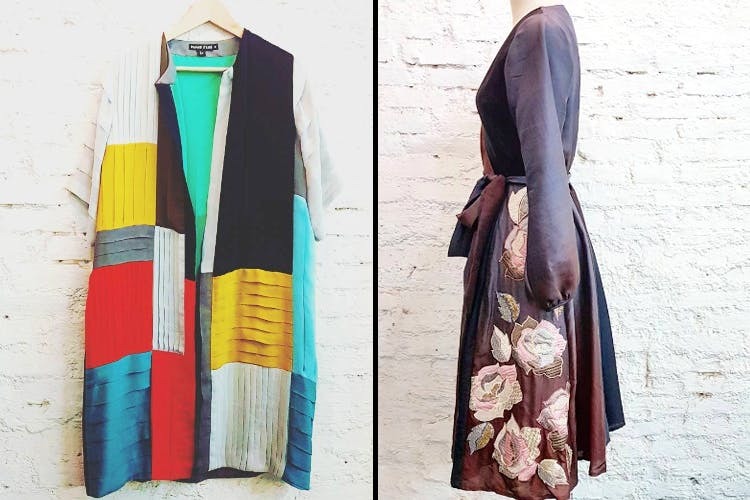 Unlike a lot of brand which claim to be for all, this is truly going to be a plus-size label with clothes specifically for the Indian body type and larger frames, but going so much beyond the usual shirt dresses. Their extremely body confident, and rather sassy Instagram account gives us a feeling that we’re really going to like the brand and its first collection, that will launch in June. The clothes include beautiful open, embroidered shirts, wrap dresses, midi dresses and above all – a lot of floral. We heart it. Follow them on Facebook here and instagram here to be in the know of when it’s up for sale.